The most that the average person knows about their air conditioning unit is how to turn it on and how to set the temperature to one that is cool enough to be comfortable. Many people do not exactly how an air conditioner works, how to properly maintain it, and how when to call in an expert should their air conditioner cease to work. 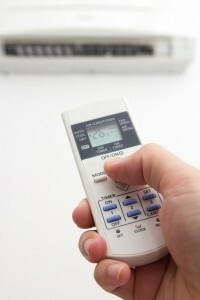 An air conditioner has three main working parts that create the cool air that you find so soothing in the summertime. These are the condenser, the compressor and the evaporator. All three of these work in tandem to take the air conditioning gas from its natural state into a liquid and then back again. As this transformation occurs, cold air is created, which is then pushed through the vents and throughout your house. The main things that need to be done to an air conditioner at least once a year involve swapping out its air filter for a new one, as well as having the water drain cleaned and the coils cleaned by a professional. While the professional is out, he or she will also check the coolant levels and check the air conditioning unit for additional problems. Many of the seemingly simple maintenance procedures outlined above need to be done by an expert who is HVAC (heating, ventilation and air conditioning) licensed. This is because of the many complex things that can go wrong with an air conditioning unit, as well as the fact that the coolant used by the machines is hazardous and should only be handled by a professional. One of the very few things that you can handle yourself is the filter change. Everything else should be done by someone with expertise in air conditioning systems.